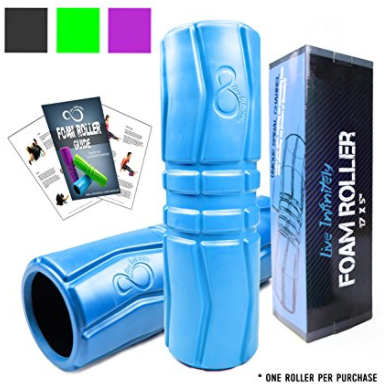 The benefits of foam rolling have to do with the mobility of the fascia. Fascia is a fibrous layer of connective tissue that surrounds all of the muscles in our body. Without proper mobility, fibers of the fascia become cross linked and they bind to muscles and nerves, inhibiting normal motion and causing pain. because with it central cavity I can fit things in it when I carry it in my bag. The Oggi Double Wall Vacuum Sealed Stainless Steel Travel Mug is with me wherever I go! I love the Flip-Open Locking Lid and the no-spill design. It has been a terrific coffee mug and keeps my water cold even after 3o min in the sauna. What is in your backpack? OK now this is something that you will love for your long swimming laps. I completely rediscovered swimming since I got The Waterproof iPod! I was nervous about spending so much money but I wanted a reliable product so I made the investment, and it was well worth it. I don't necessarily zone out, but it allows me to relax in and just enjoy my time in the water. I still haven't filled it up to half capacity. I guess I am picky about what I swim to :) and I haven't had to charge it yet either. What is in your playlist? This chair is easy to put together and light enough for me to carry. Easy to fold and put in bag, also is comfortable for my clients. At this great price it makes wonderful wellness inspired gift! Kettlebells are one of my favourite tools to work all the muscles you use for balance and control. Make sure that you progress slowly and with a good form when increasing the intensity of your workouts or adding weight. 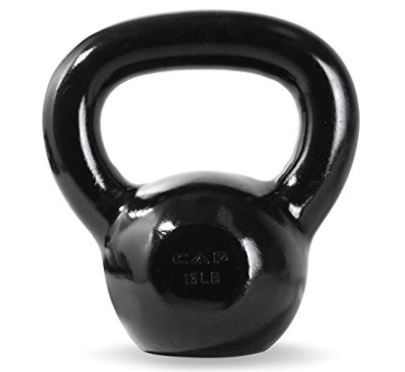 Great for squats, throws, clean and jerks, snatches, rotational swings, and much more.